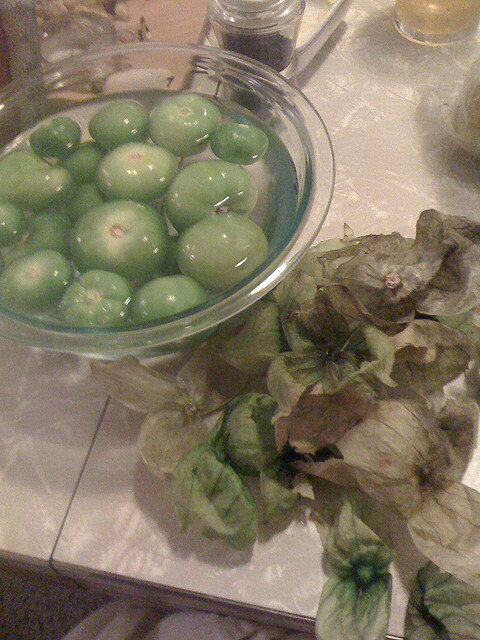 Tomatillos or Physalis ixocarpa are a fruit you may not have heard of before. Tomatillo means ‘little tomato’ in Spanish. They have lance shaped deeply veined leaves, yellow flowers and are also known as husk tomato and Mexican green tomato. 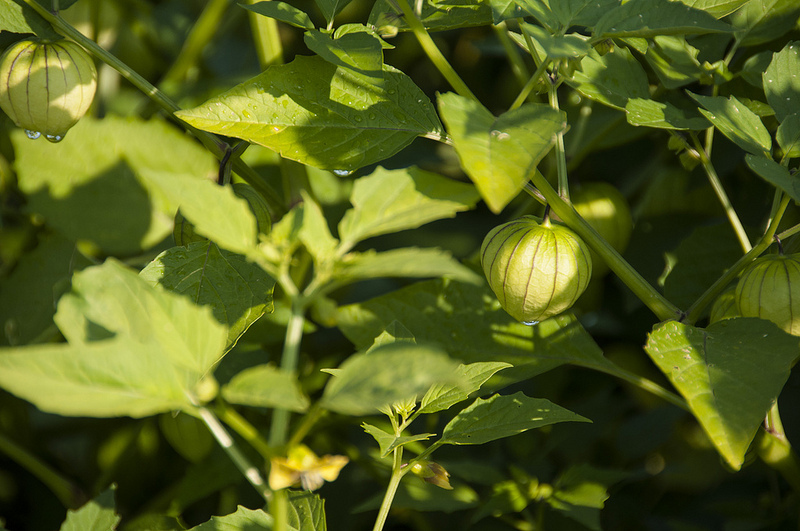 Tomatillos are related to the Cape gooseberry, Physalis peruviana, so be careful about the species part of the botanical name when ordering your tomatillo plant or seeds. Tomatillo is a perennial, often grown as an annual, is usually sprawling and in need of support. It can reach up to 1 metre or more tall and the same across. The green, yellow-green or purple fruit (a two-celled, rounded berry) grow to 3-4 cm in diameter, are smooth and sticky, and completely fill the lantern looking husk which is an extended calyx. Tomatillos are easy to grow and will suit gardeners of any ability or age. They grow in similar way to tomatoes but are hardier and less prone to diseases such as fusarium or verticillium wilt. They will tolerate partial shade. 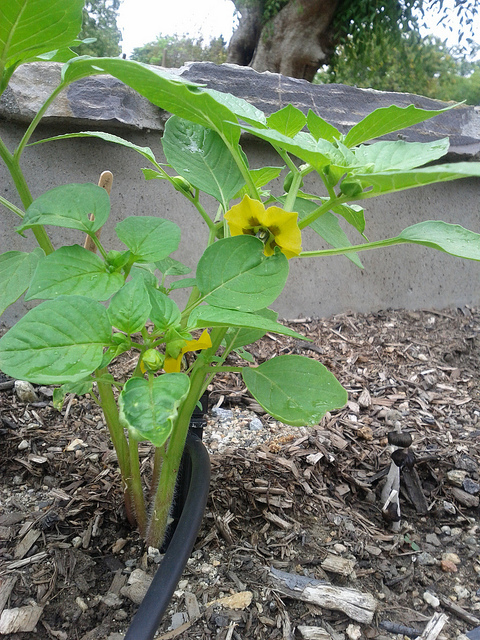 Sow tomatillo seeds directly in the ground once all danger of frost is past and the soil is warm, at least 27°C. If you live in a cooler area, start seeds in trays in a warm spot and transplant at the same time as you would tomato seedlings. The plants set flowers earlier than tomatoes, and the fruits can be harvested sooner, making them a good choice for areas with a short growing season. Space the plants 1m apart and provide support with a stake or a cage. Harvest when the fruit fills the husk but is still firm. Varieties of Tomatillo include: ‘Toma Verde’ – a heavy fruiting tomatillo with fruit the size of a small tomato. 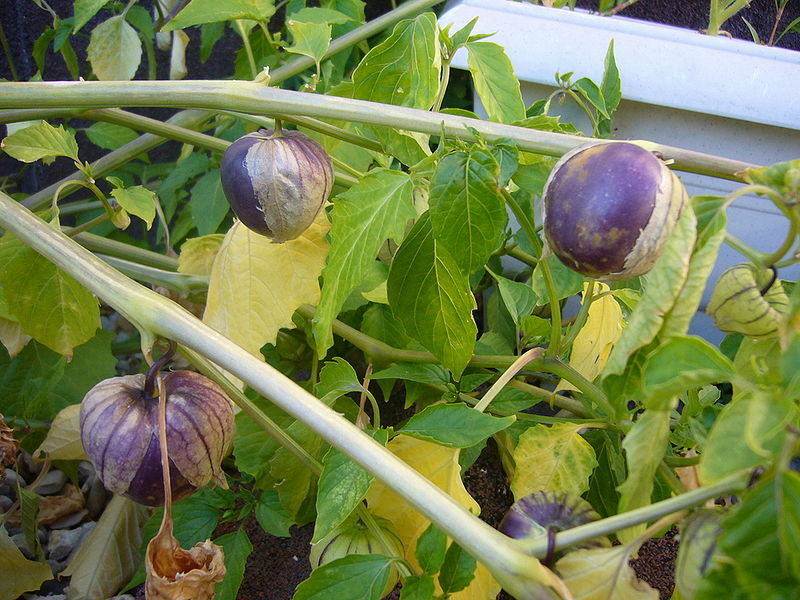 Tomatillo ‘Purple’ – an heirloom variety that is very productive. Fruits are 3-4 cm across with a dark purple skin. Both of these will be ready to pick in 10-11 weeks. Don’t remove the husks until you’re ready to use the fruits. Tomatillos can be stored in the refrigerator for up to a month and freeze well. Raw tomatillos have a zesty tart flavour that develops into a herbal lemon taste when cooked. The flesh is solid and seedy. 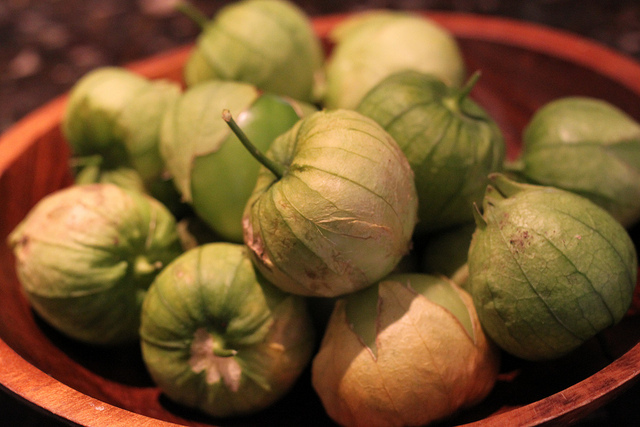 To eat tomatillos, remove the cellulose husks and wash them thoroughly. You’ll notice they have a slightly sticky surface. This is normal. 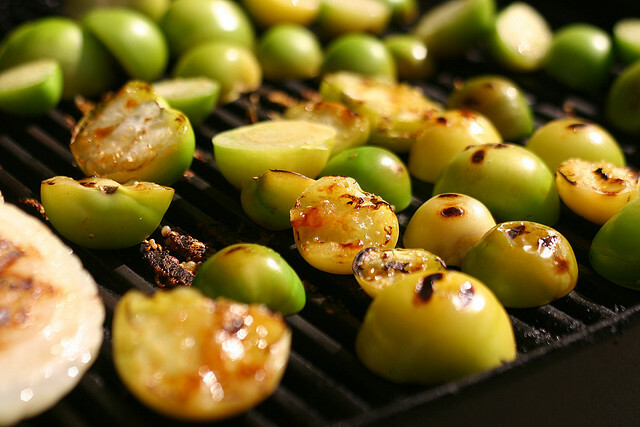 Tomatillos can be chopped and added to any salads, or grilled. They make an excellent addition to a raw soup when you want that tangy, lemony touch. They can be added to stir fries and used in salsas and other Mexican dishes. Thanks Marianne. These look fascinating. Do they suffer pest attack, ie fruit fly, like tomatoes? Best place to order? They’re actually not related to tomatoes, and the husk would prevent attack from fruit fly. You’ve actually prompted me to go out and sow my seeds of tomatillos that I picked up from the Diggers new shop at Adelaide Botanic gardens. They should do all right just about anywhere. I noticed Gooseberries, to which they are related, were growing really well in the Economic garden section of the Adelaide Botanic gardens. Thank you. I’ll get on to them pronto. Can taste them already!!! Tomatillos are distantly related to tomatoes, as they are both in the nightshade family. The purple variety pictured above is mis-labeled. It is actually PHYSALIS PHILADELPHICA, which has a bit sweeter flavor than the tart PHYSALIS IXOCARPA, which is used in salsa verde. They are also perennial, so if you allow two or three fruits to lay in the soil, they will likely come back on their own the next year, but can rapidly overtake an area if left unchecked. When is the best time of year to plant seeds for Tamatillos in Morphett Vale South Adelaide.